Every individual has a unique portfolio of assets and an idea as to what happens with those assets at the time of their passing. A comprehensive estate plan uses estate planning tools such as a will or trust to ensure that the individual’s Goals are met with regards to distribution of their assets. Hiring an experienced Phoenix estate planning attorney will help you create an estate plan that meets your unique needs. When you contact an attorney at My AZ Legal Team, PLLC you will be immediately connected with a dedicated estate planning attorney who can answer our questions and alleviate your concerns. We offer free consultations at one of our convenient valleywide locations in addition to consultations by phone. Estate Planning – We offer a full range of estate planning services such as wills, trusts, powers of attorney, estate tax planning, business succession planning, and much more. Probate and Estate Administration – Our attorneys handle the execution of your estate planning tools, handling all of the details include the trustee accounting and distributions to beneficiaries. Probate Litigation – We aggressively represent our clients with matters pertaining to will contests or disputes, including issues such as undue influence or problems with executors. Elder Law – We assist our elder law clients in preparing for issues that include physical disabilities, long term care, and end of life care, in addition to matters involving Social Security and Medicaid. Guardianship/Conservatorship – We help establish guardianships and conservatorships and assist with reporting and accounting. Regardless of your age, a comprehensive estate plan can ensure that wishes are met with regards to end of life care and the disposition of your assets. The experienced and dedicated attorneys at My AZ Legal Team, PLLC offer a variety of solutions that will accomplish your estate planning goals. Our attorneys are accessible seven days a week at (602) 353-7005. 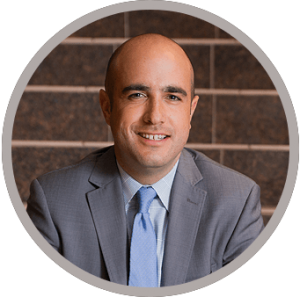 When hire our firm you have the assurance of knowing your matter is being handled by one of our experienced estate planning attorneys and that it wasn’t passed along to a paralegal or legal assistant. If you are currently struggling to manage your debt and are overwhelmed at the thought of even one more month of bills, don’t hesitate to contact the bankruptcy and debt settlement attorneys of My AZ Legal Team, PLLC. Through a free consultation, we can review your current financial predicament and guide you through all possible solutions. Contact us today at (602) 900-9834.